For those US players who enjoy poker and online gambling, video poker is a big draw. Video poker became popular at land-based casinos in the 1970s, and it’s a major attraction online with some casinos offering a dozen or more different types. Popular versions of this game include Jacks or Better, All American, Tens or Better, Deuces Wild and Bonus Poker. With online video poker gambling, you’re attempting to make specific five-card hands as outlined on the game’s pay table. The better your hand, the better your payout. The minimum hand required for a payout is usually a pair of 10s or Jacks, which pays 1-1 odds. Players stand to make more on better hands. As an example, a full house often pays 9 – 1, four Aces offers 400 – 1, and a royal flush rewards a player at 1000 – 1. However, these video poker payouts are merely examples. Each game, depending on the different types of bets you can make, if and how it uses wild cards, and the number of hands you can play at one time, offers its own pay table. There are two spins per video poker hand. After you decide how much you’re going to bet on the hand, you push the spin button. After the five reels spin for a few seconds, they will come to a stop. Each reel will display a card. You choose what cards you want to hold, usually you may discard anywhere from none to all five, and then spin again. When the reels come to a stop the second time your final hand is revealed. At that point, you either receive a real money payout or lose your bet. Then it’s time for the next hand where you wager and spin again. If you enjoy strategy-based online gambling, video poker is a good game for you. Unlike most Internet casino games, this one does involve some basic strategizing. One aspect of strategy has to do with how much you bet. With video poker, the more you wager per turn, the higher your payout. Plus, if you are playing a multi-hand version of this casino game, you’ll be given the opportunity to play more than one hand at a time. That too can increase your chances of winning. However, spending more per hand can get expensive. The best bet you can make involves getting the most out of each individual hand without overextending your bankroll. Thus, if you are willing to risk a total of $50.00 on your video poker session, and you decided to spend 6% of your stake in each turn, you’d bet $3.00 per hand. At that rate, you would be able to see 16 hands of video poker before you lost all of your money for the session or had to score with a wining. If you decide to spend 5% of your stake per turn ($2.50), you’ll get nine more hands in before either having to win or losing your $50. Remember, paying less per hand gives you more playing time, lets you see more hands, and increases your chances or winning, while spending more per hand offers you less playing time, allows you to see fewer hands, but increases your potential payout per spin. One important online video poker gambling tip regarding odds concerns your thought process between the first and second spin. This is the time when you’ll have to make important decisions that affect your odds of winning. Take some time to carefully consider what cards you should hold onto and which you should discard. A classic video poker hand after the first spin is – King (S ), King (H), Jack (S), 10 (S), Ace (S). At this point you hold two Kings, which will pay somewhere around 4-1 and you have a flush or royal flush draw, with respective payouts of 7-1 and 1000-1. Do not discard the King (H) and go for either flush. That’s because in holding onto the Kings, you know you already have a winning hand and will receive a payout. Also, by discarding the Jack (S), 10 (S), Ace (S) before your second spin, you now have the chance to hit three of a kind (5-1), a full house (9-1) or four of a kind (200-1). If you have a hand that will offer you a payout, don’t discard it for a long shot. Before playing video poker, review the game’s pay table. Each differs from game to game. Make sure that you fully understand it prior to making a bet. This table will provide you with the information you need to know what hands offer the best odds. As noted above, the minimum hand required to win is usually a pair of 10s or better, while a royal flush will render the highest payout. Know how much you are risking in order to receive a specific payout and play machines that offer you the best payout odds. Note: payout rates will vary from machine to machine on premium hands, such as four Aces, straight flush, and royals; be sure to compare these. Play machines with a payout rate of 96% or better. For highest payouts, play progressives. If playing a progressive, be aware that you will need to bet the maximum to receive the progressive jackpot. After your first spin, play the hand that offers you the best chance of winning on your second spin. To extend playing time, make smaller bets per hand. Play at least 50 hands per video poker session. If you find yourself getting frustrated or angry walk away. Control the rhythm at which you play and don’t lose track and control by playing faster and faster. Know when to quite and have a set limit in terms of losses, money won, or time spent at the machine. 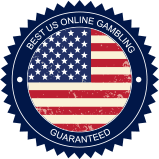 If you are a US player who loves online video poker gambling, then please be sure to use our pages devoted to connecting you with the best real money casinos . Video poker is a fun, challenging game that involves strategy and offers the feel of a slot machine and the decision-making skills of poker. We’ve taken the time to find the best US player sites offering this great casino game. Take advantage of all that these fine Internet-based casinos have to offer.